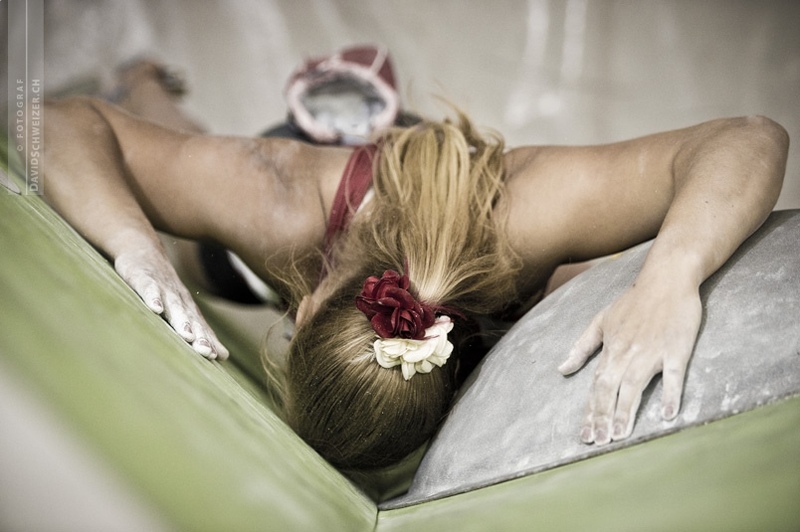 Yesterday was already the last national boulder comp of the season, which took place in the really cool new gym in Fribourg (www.grimper.ch). As in Geneva and Grindelwald I climbed quite well in semis and ended up 3rd going into finals. This time I just couldn’t mess up finals again and I really wanted to confirm my previous performance. I figured out how to do the first problem pretty fast but then unluckily fell at the top move twice, which made all the difference. 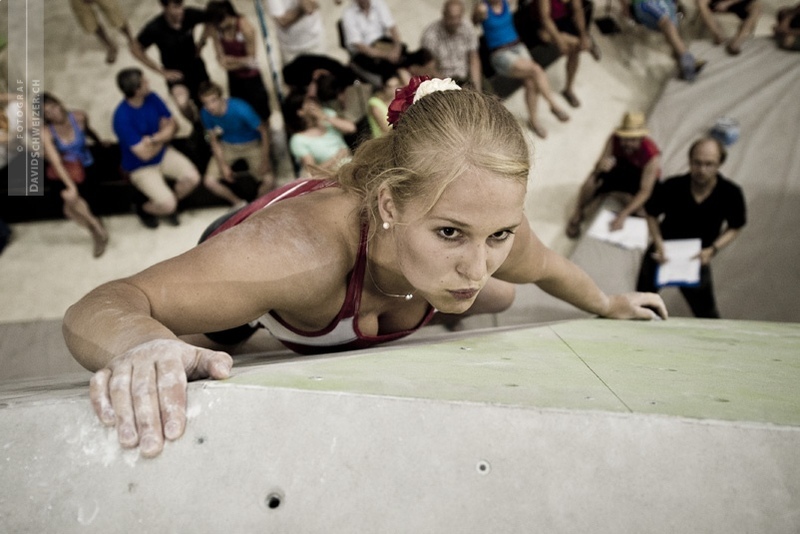 Since only Petra managed to climb the second problem, nobody did the third and everyone reached the top in problem number four, a top in problem number one would have meant at least 4th place. However, I not only failed to complete the first boulder, it also took me several tries to climb the last one which made me fall back on 6th place. Again! :( I’m still angry with myself for not doing the first problem and unhappy because I ended up last in finals once more. I guess this time it was also just bad luck, since I actually climbed quite well in finals unlike the last couple of times. Congratulations to Petra Klingler who once more dominated the female competition and to Kevin Hemund being the winner for the men! Take a look at the TV report by SFF! Next week I’ll focus on speed climbing for a bit and I’m looking forward to compete at the EYC in Chamonix on Sunday. Besides I’ll be busy moving my stuff to Zurich, so exciting to have my own place!! :) In two weeks I’ll also finally be off school and can’t wait to enjoy a week of bouldering in Val di Mello (ITA)! 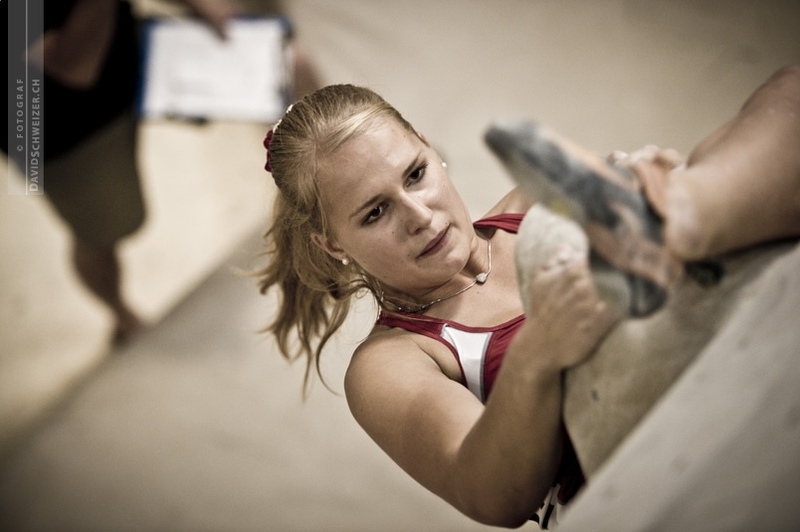 Plus, I really hope to be able to take part in the second Boulder EYC in Argentière (FRA) in the middle of July.